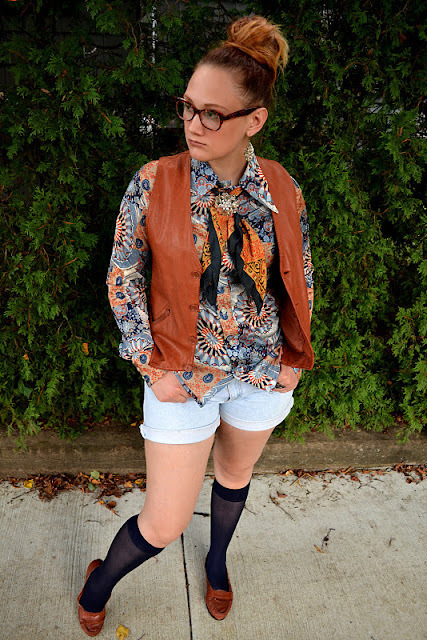 This week's So Stylish Spotlight is Stacey Kay of Goodwill Huntingg in Cleaveland, Ohio. Stacey was definitely on the first thrifting fashion bloggers that I began following. I love her unique style and the way she is able to create a runway look from thrifted fashion. She always looks so stylish in her runway inspired thrifted outfit. Her seasonal thrifting guide is a must-read for thrifting virgins and experts alike. I hope you enjoy our interview. Tell us about your blog Goodwill Huntingg. Goodwill Huntingg is my personal style blog where I attempt to teach women how to style their thrifted and vintage clothes to look like what is hot on the runway. Each day, I choose a new runway look that features a trend or an item of clothing that I believe is easily thriftable, and then show how I emulated the look or trend with my personal outfit. 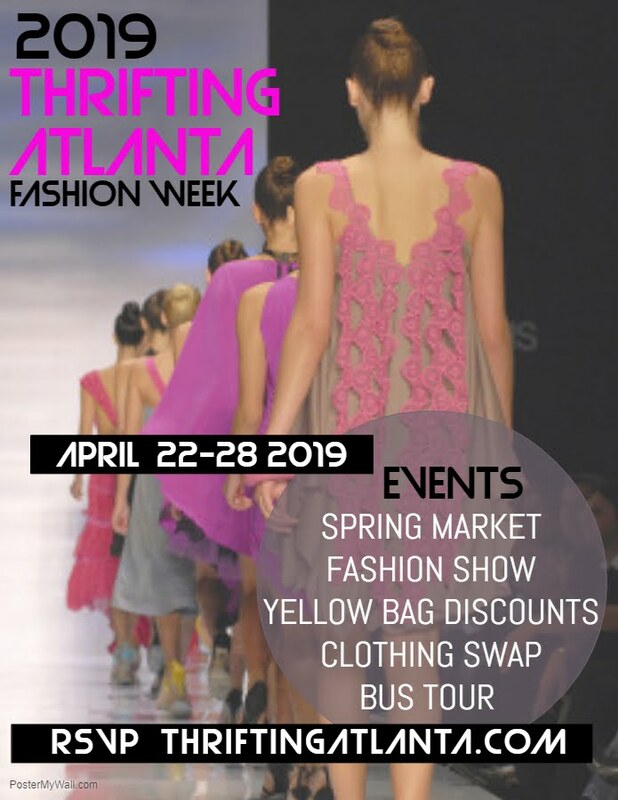 I also produce an online and print magazine four times per year (The Goodwill Huntingg Thrifting Guide) that highlights five major trends seen on the runways and similarly demonstrates how to thrift them. The goal is to stay ahead of the trends by outsmarting the designer and shopping at the source of the inspiration. I first fell in love with thrifting my senior year of college. I had just completed my fashion internship, working at the headquarters of Club Monaco in New York City. 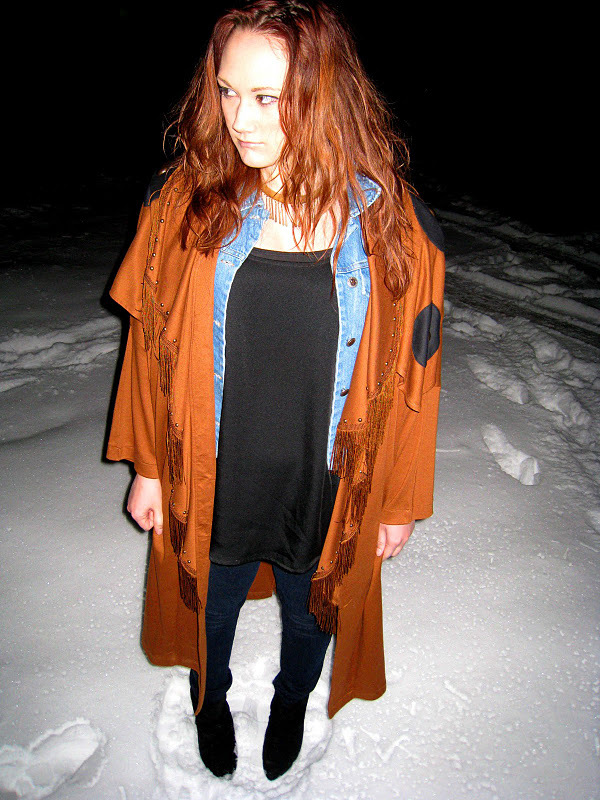 I had witnessed firsthand how the designers there regularly thrifted for inspiration for their lines, even taking apart thrifted pieces to use them as a pattern. I thought it was silly to be spending nearly $200 on a mass produced blazer when the original garment that inspired it only cost $5 from the thrift store. It was then that I realized how much more fashion forward and not to mention unique my personal style could be if I learned how to utilize this resource. I started thrifting and making some of my own clothes while still in NYC, but when I returned to Ohio I shopped almost exclusively at Goodwill. People started complimenting my outfits a lot more, and everyone would act so surprised when I told them I found my clothes at the thrift store. I started thrifting regularly, and about 8 months later I started Goodwill Huntingg. I believe we are on the cusp of a movement as a society. People are finally starting to realize the consequences of excessive consumption and are starting to take their actions into consideration. This consciousness coupled with the recession has formed a sort of "perfect storm" for thrifting. Is thrifting here to stay or simply a fad? I think thrifting is beginning to be recognized as a legitimate form of shopping, and the stigma surrounding it has begun to dissipate. Even high fashion designers like Hermes have started "upcycled" lines, so I think this trend is here to stay. I have not thrifted in a while because my closets are so jam packed with awesome finds that I haven't even had time to wear them all. I have been receiving a lot of vintage items from family members, which is exciting for me because it feels like a legacy is being passed on. When I was still building my wardrobe, however, I would thrift about once per week. 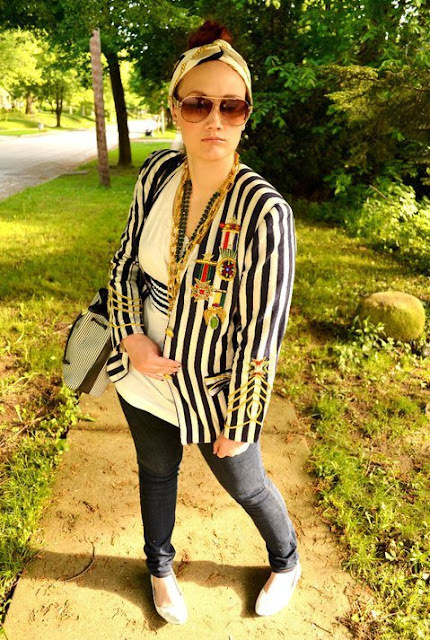 My most treasured thrifting find is probably my Fendi purse or my Christian Dior blazer, but I highly cherish all of my vintage earrings and other jewelry pieces as well. I love vintage/thrifted jewelry because it really jazzes up a basic outfit, or adds the perfect touch to a retro-inspired look. 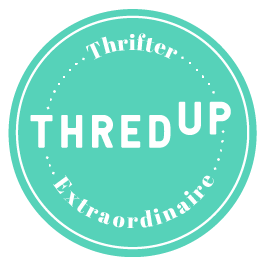 What are your top three tips for thrifting? 1.) I think thrifting often is the most important thing, because no two thrift stores are created equal and they are always getting new stuff in. 2.) Thrifting out of season is also a good tip because people donate clothing in that way. 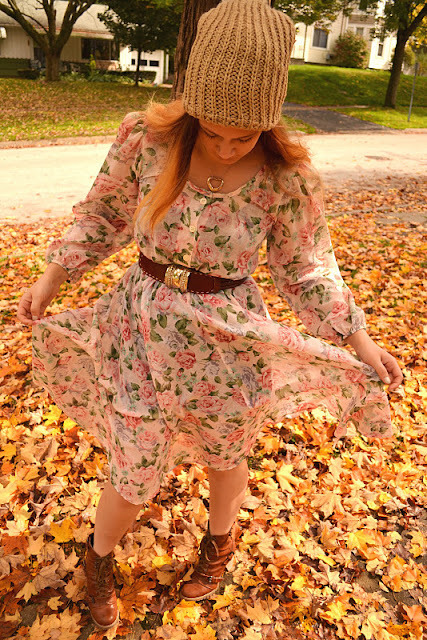 People will more likely clean out their winter closets in the beginning of spring or summer, and vice versa. Likewise, people will be trying to get those seasonal pieces, so there will be less available and at a higher demand. 3.) Lastly, doing your research on fashion trends before you thrift can help give you inspiration once you've arrived. I can't tell you how many times I've found pieces that match or directly inspired the things I see on the runway. I always stay up to date on my favorite designers and what they are showing (Marc Jacobs, Michael Kors, ADAM, Alberta Ferretti, Gucci, Miu Miu) and that helps me recognize vintage pieces that are making a comeback. Whats hot at Goodwill Huntingg? I've just recently released my latest thrifting guide (The Goodwill Huntingg Thrifting GuideWinter 2011/12 Edition) and will be working on the spring one shortly. I just started designing upcycled accessories to sell on Etsy, and will be adding an upcycled and vintage clothing section to my shop soon as well. 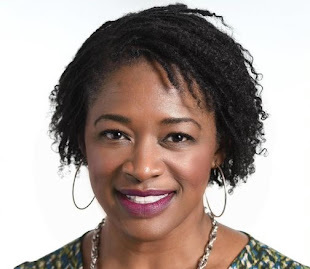 I write for the National Vintage Fashion Examiner on Examiner.com, and will also have a monthly column appearing in Moot Magazine. My goal moving forward is to expand the reach of The Goodwill Huntingg Thrifting Guide and to write more expertise pieces for major fashion magazines or websites. Be sure to like Goodwill Huntingg on Facebook and follow her on Twitter! Love her! Very nice feature!! Thanks for stopping by my blog! Yes I agree Goodwill Huntingg is amazing. She makes thrifting so stylish. Just love the last photo. Simply fashionable, eh. Can't believe that thrifting is not just practical but also very helpful. Affordable yet Fashionable. What a great combo. Great feature! 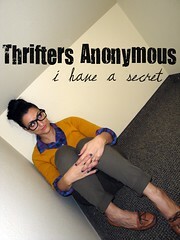 I am a newbie at thrifting so I will definitely be checking out her blog as well as her thrifting guides. Thanks for stopping my blog and following; it's greatly appreciated! You turned me on to B&R Thrift and I have found some great deals there. Yeah!!!!! Thanks for the compliments Sonya! Yes Goodwill Huntingg is a thrifting guru. Glad you loved B&R, they are one of my favorite thrift stores. Thank you dear kay Cee for introducing me to this fantastic blogger. I've seen her blog and she's baddddd. Good feature. I love those pants in the first picture!